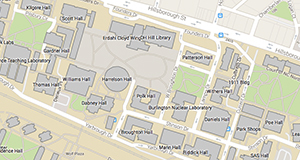 The Center for Geospatial Analytics will host its first annual Faculty Fellows Symposium on February 7th, 2019! 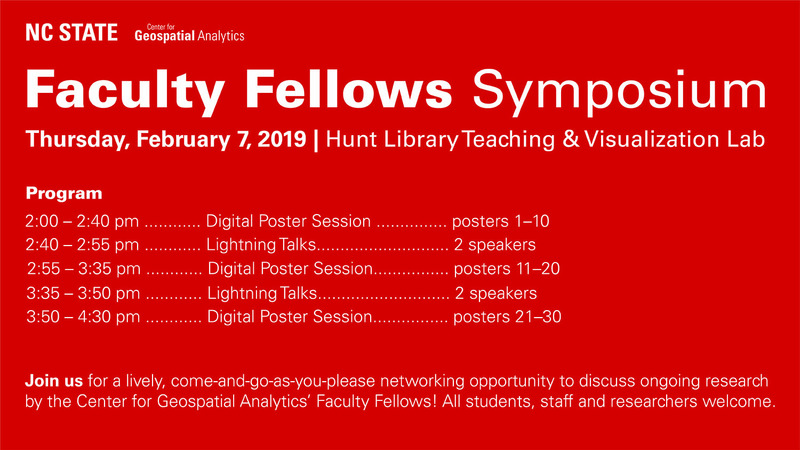 This networking event will feature our Faculty Fellows‘ latest research and is designed to spark new collaborations among our fellows, current and prospective students and other researchers. All interested faculty, staff and students at NC State are welcome to attend. 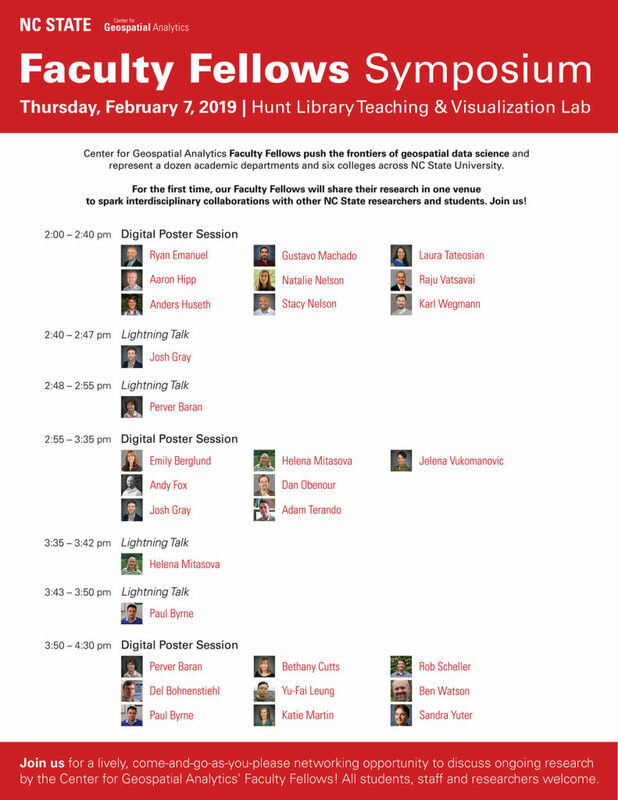 See below for the full program flyer, and download your own PDF copy!